F.lux, Night Shift, and other screen “filter” apps are not the solution to circadian disruption and poor sleep. Read on to learn why. It seems that every week there are new studies and news articles about the dangers screen use at night. These screens that we’re staring into, emit large amounts of blue light. It turns out that light at the blue end of the spectrum is how our bodies track what time of day it is. Shining blue-rich light into our eyeballs at night is screwing with our body’s timekeeping mechanisms. And it’s not only making it harder for us to fall asleep. Circadian dis-regulation and chronic melatonin depletion have very serious health consequences. These are compounded by lack of quality sleep. The standard advice is no screen-time an hour or two before bed. That’s great advice, but not practical for many people. Most articles now recommend installing blue “filtering” apps. F.lux is a very popular app for PC users. Android users can install Twilight. Apple now has Night Shift built in to their latest operating systems. Most people believe that is all they need to do. As you will see, this is not the case. F.lux is a free app that automatically shifts the color of your screen to a reddish amber color as the sun goes down. You set it to your time zone and the degree of color shift that you want and it does the rest. The idea is to match the color of your screen to the color of the ambient lighting. In the daytime your screen is in full color spectrum. As the evening wears on, the color shifts to amber/red over the course of an hour. Once you get used to the colors, most people love the app and won’t go without it. Of course people doing design work or other color sensitive work may not be able to use it. It can also take some getting use to. Most people start with a mild color setting at first. You can turn it further to the red as you become accustomed to it. The newer version of the app can even sync with the Phillips Hue lighting system. That way your home lighting can shift in sync with your screen! I have not tried this feature yet but it seems pretty awesome. These apps do not “filter” anything. They reduce or (on the highest settings) cut out the color blue. The problem lies with the screens themselves. Screens are always emitting some degree of blue light due to bleed through from the back-light. You can’t fix a hardware problem with software. These apps are great but not nearly as effective as a true filter. The silly-looking orange Uvex glasses are an actual filter that is far superior. With a little self experimentation, you can prove it to yourself. These apps will reduce your blue light exposure and the stress on your eyes. They cannot eliminate it. There is a huge difference between reducing blue light and elimination it! In fact, this study demonstrates that “less than 1 lux of monochromatic light elicited a significant suppression of nocturnal melatonin”! My advice is to go the extra step and block all blue light exposure as part of your evening routine. Some of these apps reduce the screen brightness as well. The lower the back-light, the less blue will be emitted. This is great in theory. In real life, people tend to counteract the effect by holding the screen closer to their face. If someone is holding the screen closer to their eyes, they are negating much of the benefits of using the app. The proximity to a light source make a huge difference in the biological response. People are always looking of an easy “set it and forget it” solution. We tend to read an article that says “blue light at night = bad” then we can “just get f.lux” and go on with our lives. The problem is much greater than our electronic devices. 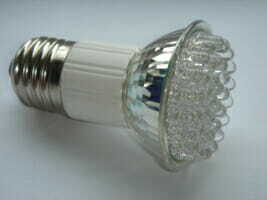 All energy efficient lighting, LED and florescent, emits strong blue light. Even the “soft white” color lamps have a sharp spike at the blue end of the spectrum. These sources are becoming cheaper and more ubiquitous in our homes. Some government jurisdictions are banning the use and/or sale of incandescent lamps. Cash starved city government are highly motivated to “upgrade” street lights to LEDs. Despite overwhelming evidence of harm to the environment and public health, LEDs are taking over. Exterior lighting on homes and businesses is almost always blue rich LEDs. Even night lights are usually white LEDs that emit blue light all night long. We need to start structuring lighting environments that work with our physiology. Greater public awareness is desperately needed! I believe these apps are a step in the right direction. My concern is that filtering apps are like broom with which to sweep the problem under the bed and out of our sleep deprived minds. At this point there are two main type of screens on our electronic devices: LCD and OLED. Most screens out there are some sort of LCD except for Samsung phones which use a variation of an OLED (AMOLED). LCD screens are back lit with either a white florescent or a white LED. Most computer screens are edge lit with a cold-cathode florescent tube on the top or bottom of the screen. A white diffusion panel that scatters the light uniformly across the screen. The main thing to realize about LCDs is that there is always some level of blue light passing through. No matter what color is on the screen. Theoretically OLED screens should have less of a problem with light leakage. The pixels are self-illuminating (no back-light). Therefore, filtering apps should be far more effective. I have seen a spectrograph of an iPhone (LCD) compared to Samsung (AMOLED). They are very similar, however they were measured with the screens displaying white. I would like to see spectrograph comparisons with the screens displaying all black. You can see for yourself the blue light from your screen by doing the following test. If you go to BlueLightAtNight.com/black you will see a plain black page. Take your computer into a dark room and you can see how much blue light is coming out. If you shine it on a white wall, you will see that it is blue light. Play with the brightness levels. 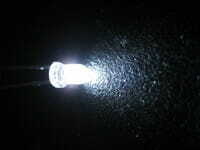 The light that you are seeing is from the white florescent or LED back light. If you put a spectrometer on this, you will see the spike in the blue range which is typical of florescent tubes or LEDs. No matter what color is on your screen, this back-light is always shinning through even if you don’t see it. So why do I use it (and recommend it)? Despite the fact that I spent the last 10 minutes of your time somewhat bashing f.lux, I still use it and recommend it. For one, it is better than nothing and it does help bring awareness to the problem. It does relieve eye strain. I like how it transitions in to nighttime mode as the sun goes down. It helps to keep me connected with nature in some small way even if I’m full absorbed into some computer project. Any reduction in blue light exposure is beneficial. But, if you want to optimize your health, I recommend using a proper pair of blue light blocking glasses. Oh, and did I mention that f.lux is free? Not only is it free, but the developers graciously provide tech support as well. They are nice people who are dedicated to helping others, and that’s something that we can all appreciate.